Those illustrious alumni include Jennifer Aniston, Richard Benjamin, Irene Cara, Dom DeLuise, Robert DeNiro, Hal Linden, Liza Minnelli, Al Pacino, Freddie Prinze, Ving Rhames, Ben Vereen and former Maui actress Jackie Shea. The 1980 Academy Award-winning film “Fame,” which took place at the school, cemented its reputation. This weekend, the musical stage version based on that film will be performed by the Maui Preparatory Academy and Drama Instructor and Director Vania Jerome at The Ritz-Carlton, Kapalua. 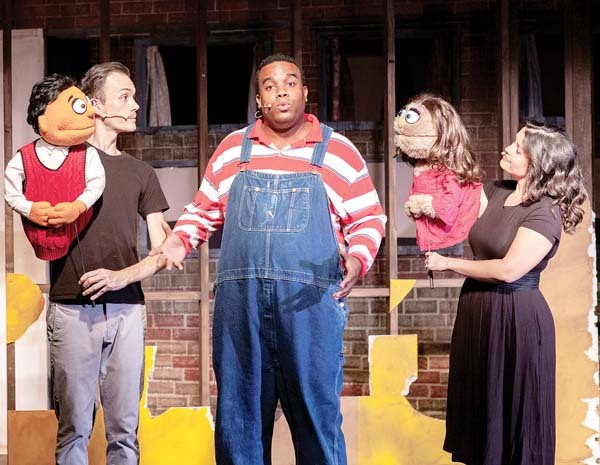 Although many of the original characters have been removed or changed slightly in the stage adaptation, Cara’s mega-hit song, “Fame,” remains as its cornerstone. 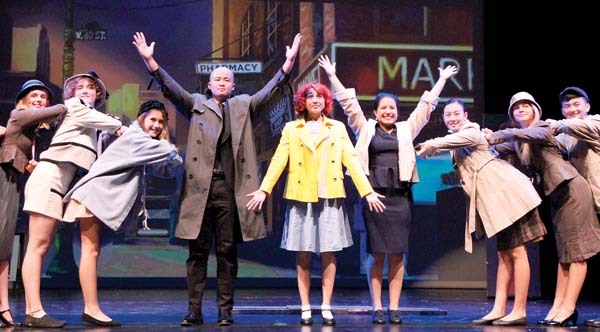 The musical, beloved by performers, tells the story of teen dreamers hoping to make it big in showbiz after they graduate, but it also tackles other teenage dramas — growing pains and coming of age — which is relatable to all audiences. No stranger to Maui musicals, Jerome has served as musical director to many of Maui’s biggest community theater hits like “Chicago” and “RENT.” The westside cast stars Maui Preparatory middle and upper school students, Lahaina-area community members, Maui Prep teachers and a student from Lahainaluna. 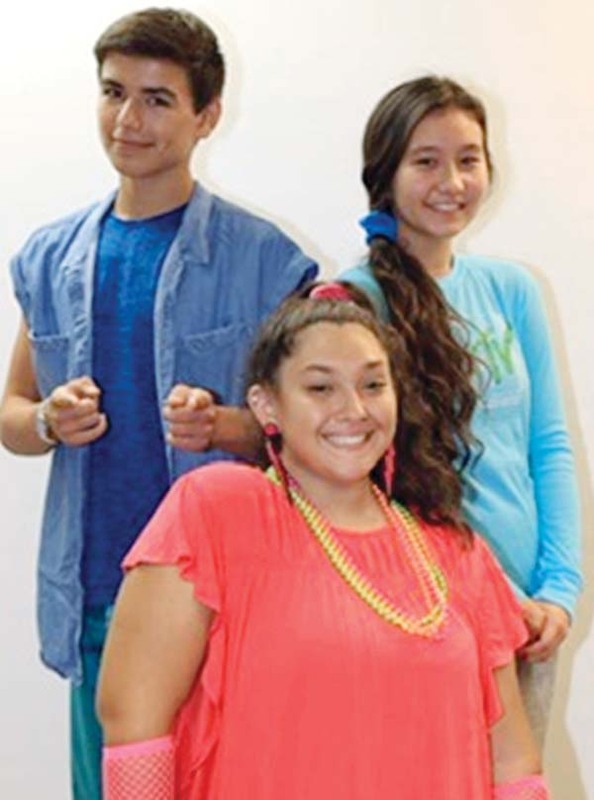 • The Maui Preparatory Academy presents “Fame the Musical JR.,” directed by Vania Jerome. Performances are at 7 p.m. Friday and Saturday at The Ritz-Carlton, Kapalua. General admission tickets are $10, and are available in person through the Maui Preparatory Academy office at 4910 Honoapiilani Highway in Lahaina, at Lahaina Music and at the door. For more information, contact Jerome at vjerome@mauiprep.org or call 665-9966. 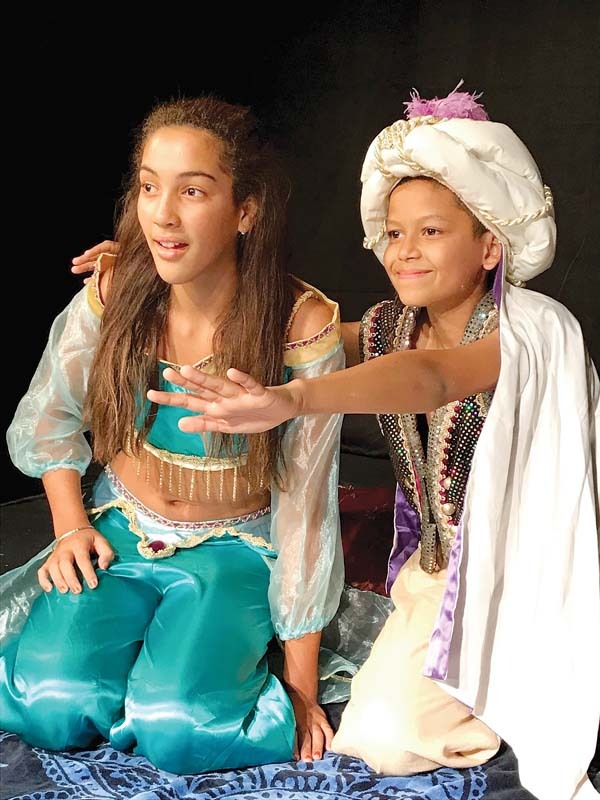 There are a great many family friendly entertainment events happening over the holidays, but southside residents and visitors with young children might enjoy a family outing to “Disney’s Aladdin JR.” at the ProArts Playhouse in Kihei. I asked ProArts Managing Director Kristi Scott to share her thoughts on Kihei’s emerging youth theater program. “We are excited that our youth theater is growing. For a while, the balance was [coming from] Kihei Charter School, which is great. Now we are getting students from the other schools in the Kihei area as well. Youth theater is important as a way to keep our theater community growing. 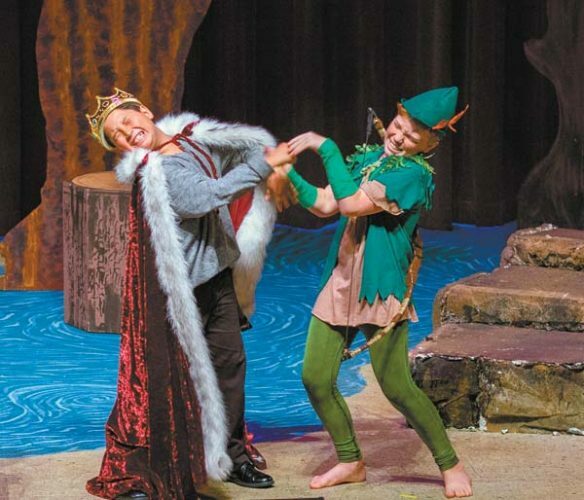 I was at ‘Elf’ the other night, and heard the story of how one young girl’s first theater experience was ‘Elf’ — and now she’s in it,” Scott shared. “These moments of memory and theater are so important for a well-rounded person. 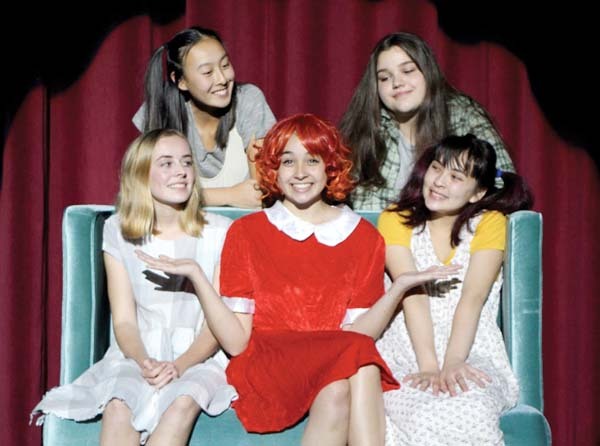 “Like sports, theater teaches us so much about teamwork, perseverance, commitment, self-confidence, communication and so many other skills that are important as we grow into adults, whether we do theater or not,” she added. “I encourage all families to come see ‘Aladdin,’ support the kids and support live theater in Kihei. 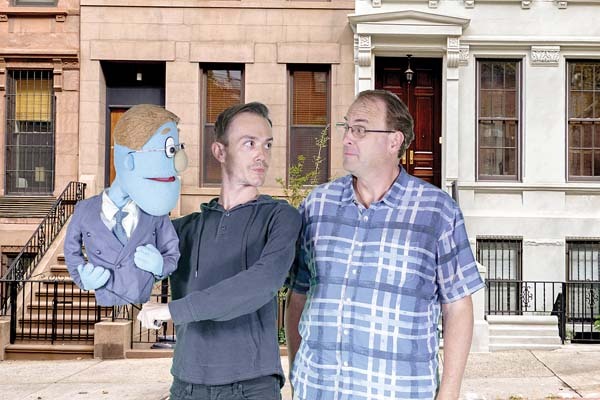 I feel it’s important for us to keep all of our theaters active and strong as they each, in their own way, offer something unique and different and vital for our theater community,” Scott articulated. 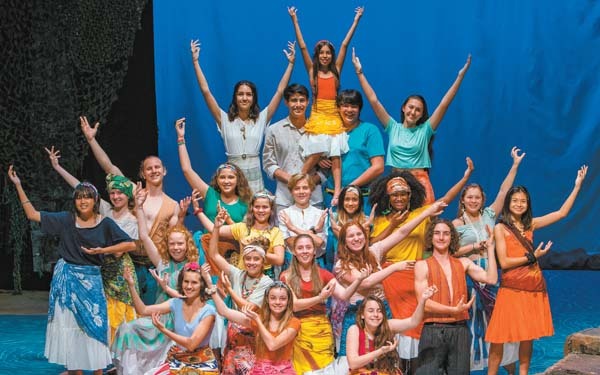 • ProArts Youth Theater presents “Disney’s Aladdin JR.,” directed by Francis Tau’a and Kirsten Otterson. Performances are at 7 p.m. Fridays and Saturdays and 2 p.m. Sunday, through Dec. 8 at the ProArts Playhouse in Azeka Place Makai in Kihei. Tickets are $15 for adults and $8 for students 16 and younger. For more information or to purchase tickets, call 463-6550 or visit www.proartsmaui.com. • Performances are at 7 p.m. Saturday, Dec. 8 and 3 p.m. Sunday, Dec. 9 in Castle Theater at the Maui Arts & Cultural Center in Kahului. Tickets range from $18 to $30 (plus applicable fees) with discounted tickets available for kids 12 and younger. To purchase tickets, visit the box office, call 242-7469 or order online at www.mauiarts.org. Maui OnStage is calling singers and actors to audition for Gilbert and Sullivan’s operetta, “The Pirates of Penzance.” Auditions will be scheduled in five-minute increments from 5:30 to 9 p.m. on Monday at the Historic Iao Theater in Wailuku. Actors should prepare a song from a traditional musical or opera and provide sheet music in their key. An accompanist will be provided. Callbacks will be held from 5:30 to 9 p.m. on Wednesday. “The Pirates of Penzance” will run weekends, March 1 through 17. To make an audition appointment, visit www.mauionstage.com.